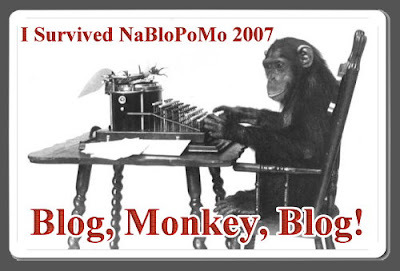 Well, ok, it's just the end of NaBloPoMo... but it sure has felt like an era. If you did it too... make sure to click over to NaBloPoMo and grab a badge of honor. Or feel free to grab the monkey. He was created by Alli (aka Mrs. Fussypants).